If a bedrock or rocklike material is present at a site within a reasonable depth, piles can be extended to the rock surface. In this case, the ultimate bearing capacity of the pile depends entirely on the underlying material; thus the piles are called end or point bearing piles. In most of these cases the necessary length of the pile can be fairly well established. Instead of bedrock, if a fairly compact and hard stratum of soil is encountered at a reasonable depth, piles can be extended a few meters into the hard stratum. 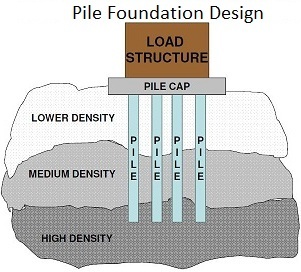 In these types of piles, the load on pile is resisted mainly by skin/friction resistance along the side of the pile (pile shaft). Pure friction piles tend to be quite long, since the load-carrying. Capacity is a function of the shaft area in contact with the soil. In cohesion less soils, such as sands of medium to low density, friction piles are often used to increase the density and thus the shear strength. When no layer of rock or rocklike material is present at a reasonable depth at a site, point/end bearing piles become very long and uneconomical. For this type of subsoil condition, piles ate driven through the softer material to specified depth. In the majority of cases, however, the load-carrying capacity is dependent on both end-bearing and shaft friction. They are usually pre-formed before being driven, jacked, screwed or hammered into ground. This category consists of driven piles of steel or precast concrete and piles formed by driving tubes or shells which are fitted with a driving shoe. The tubes or shells which are filled with concrete after driving. Also included in this category are piles formed by placing concrete as the driven piles are withdrawn. They require a hole to be first bored into which the pile is then formed usually of reinforced concrete. The shaft (bore) may be eased or uncased depending upon type of soil. Difficult to splice, vulnerable to damage in hard driving, vulnerable to decay unless treated with preservatives (If timber is below permanent Water table it will apparently last forever), if subjected to alternate wetting & drying, the useful life will be short, partly embedded piles or piles above Water table are susceptible to damage from wood borers and other insects unless treated. Comparatively low initial cost, permanently submerged piles are resistant to decay, easy to handle, best suited for friction piles in granular material. The members are usually rolled HP shapes/pipe piles. Wide flange beams & I beams proportioned to withstand the hard driving stress to which the pile may be subjected. In HP pile the flange thickness = web thickness, piles are either welded or seamless steel pipes, which may be driven either open ended or closed end. 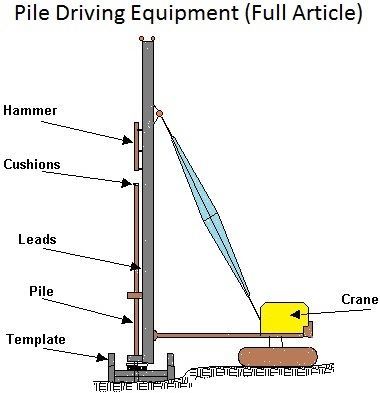 Closed end piles are usually filled with concrete after driving. Easy to splice, high capacity, small displacement, able to penetrate through light obstructions, best suited for end bearing on rock, reduce allowable capacity for corrosive locations or provide corrosion protection. Precast concrete piles may be made using ordinary reinforcement or they may be prestressed. Precast piles using ordinary reinforcement are designed to resist bending stresses during picking up & transport to the site & bending moments from lateral loads and to provide sufficient resistance to vertical loads and any tension forces developed during driving. Prestressed piles are formed by tensioning high strength steel prestress cables, and casting the concrete about the cable. 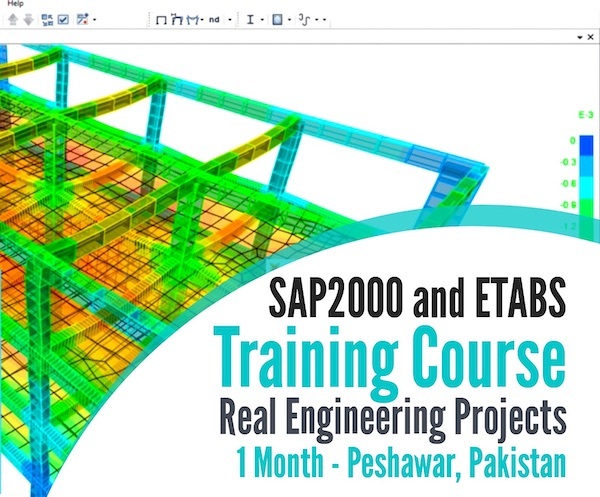 When the concrete hardens, the prestress cables are cut, with the tension force in the cables now producing compressive stress in the concrete pile. It is common to higher-strength concrete (35 to 55 MPa) in prestressed piles because of the large initial compressive stresses from prestressing. Prestressing the piles, tend to counteract any tension stresses during either handling or driving. Cylinder piles in particular are suited for bending resistance. Cast in place concrete piles are formed by drilling a hole in the ground & filling it with concrete. The hole may be drilled or formed by driving a shell or casing into the ground. Concrete piles are considered permanent, however certain soils (usually organic) contain materials that may form acids that can damage the concrete. Salt water may also adversely react with the concrete unless special precautions are taken when the mix proportions are designed. 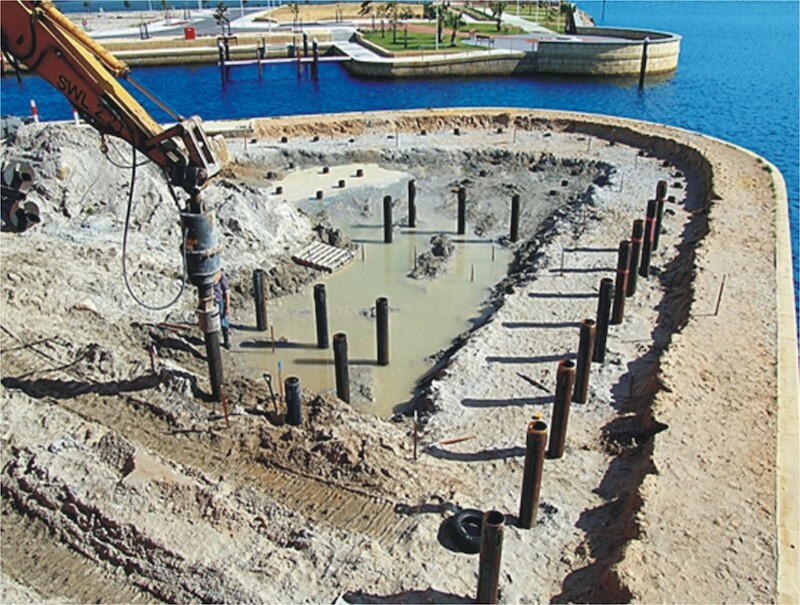 Additionally, concrete piles used for marine structures may undergo abrasion from wave action and floating debris in the water. Difficult to handle unless prestressed, high initial cost, considerable displacement, prestressed piles are difficult to splice. Alternate freezing thawing can cause concrete damage in any exposed situation. In general, a composite pile is made up of two or more sections of different materials or different pile types. The upper portion could be eased cast-in-place concrete combined with a lower portion of timber, steel H or concrete filled steel pipe pile. These piles have limited application and arc employed under special conditions.